.470 Nitro Express 500 grain Barnes TSX- The .470 Nitro Express is a rifle cartridge developed by Joseph Lang in England for dangerous game hunting in 1907. This cartridge is used almost exclusively in double rifles for hunting in the tropics or hot climate. It is in wide use in the Southern and Central-East African region, favoured by hunting guides, primarily while out for Cape buffalo and elephant. Due to the heavy bullet and powder charge, the gun has significant recoil but this is mitigated by the low velocity, resulting in recoil being delivered as a strong push rather than a violent blow. Rifles chambered for this cartridge tend to be heavy double-gun style, and are typically quite expensive. The .470 NE continues to be the most popular of all the Nitro Express cartridges. The .470 NE was originally designed by Lang’s as a replacement for the .450 Nitro Express, after the .450 NE was banned in several countries including India. This wasn’t because the .450 NE was underpowered or inadequate, but because its bullets could be removed from loaded rounds for use by natives in stolen .577/.450 Martini Henry rifles. The .470 is a well-balanced cartridge. 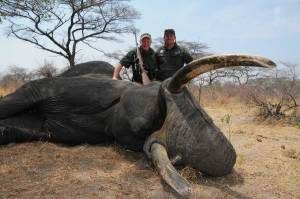 It is perfect for elephant but will take lion and anything in between, all without the severe recoil generated by the .500 and larger caliber Nitro Express cartridges. the .470’s trajectory drops fast past one hundred yards, but this is inconsequential. It is a purpose built tool for life or death circumstances at close quarters and excels at the job. 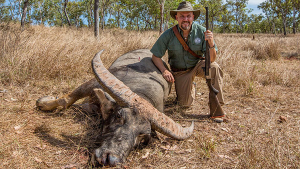 Choice Ammunition, and our 100% Hand-Loading techniques- produce a round of ammunition for the .470 Nitro that is demanded in dangerous game hunting. Accuracy, consistency and dependability are crucial at that final moments of such an encounter. 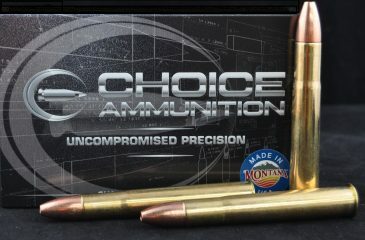 Choice Ammunition takes this responsibility seriously by meticulously weighing each powder charge with our proprietary formulas and temperature insensitive powders, seating the bullet at the exact length for optimal performance and test firing each and every lot of ammunition at an average of 500% over industry average. We have no high speed production machines- only passionate and dedicated load technicians pulling each and every handle, producing one round of ammunition at a time. This insures wherever your travels may take you- you can depend on our premium ammunition to close out your hunt.